Police are currently dealing with a road traffic collision in County Down. 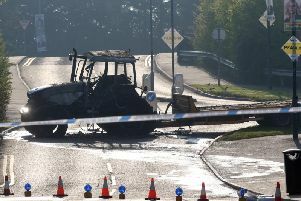 Trafficwatch NI, operated by the Department of Infrastructure, reported that the PSNI is at the scene of a crash on the Edentrillick Road between Dromore and Hillsborough. Road users are warned to expect delays.